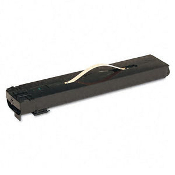 Order High Performance Xerox WorkCentre 7655, 7665, Xerox DocuColor 240, 242 Compatible Black Toner Cartridge 006R01219, 6R1219 To keep your printer running perfectly! Our USA Brand 006R01219, 6R1219 is in stock and ready to deliver. If you have any questions call us at 619-684-5241. We work for you!